If you or a loved one has suffered as the result of a defective Bard IVC Filter in California, contact the Dr Shezad Malik law firm. Those who have had defective Bard IVC Filter systems implanted may be eligible to seek compensation for things like pain, suffering, medical expenses, lost income and disfigurement. As a Dallas Texas Product Liability attorney and Bard Recovery and G2 IVC Filter lawyer, we are evaluating and accepting Bard Recovery and G2 IVC Filter injury cases nationwide including California. 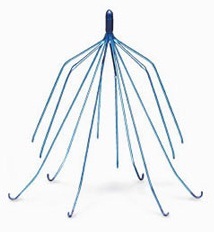 IVC Filters What is it? An inferior vena cava filter is a safety net placed in a large vein called the inferior vena cava. The filter that is placed in the inferior vena cava is designed to catch any blood clots that may form in the lower body before they travel into the lungs and become life threatening pulmonary emboli. There are two major manufacturers of retrievable IVC filters, C.R. Bard and Cook. The U.S. Judicial Panel on Multidistrict Litigation (JPML) has granted coordinated pretrial proceedings in the federal court system, centralizing all Bard IVC filter injury lawsuits before U.S. District Judge David G. Campbell in the District of Arizona. Information and commentary provided by Dallas Fort Worth Personal Injury Attorney Dr. Shezad Malik. The Dr. Shezad Malik Law Firm can be contacted in Dallas toll free at 888-210-9693. If you or a loved one has been injured from the Bard Recovery and G2 IVC Filter, please fill out our contact card for a free consultation.